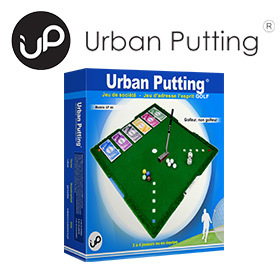 Ground Golf is played just like golf without the complexity of the swing, to strike the ball from tee to green. The motion of the putting movement is used to push a 6 cm diameter ball into a hole using a slightly bigger and lighter club /putter. History: Groundgolf started in Japan in 1982 in Tomori Tohaku, Tottori County and quickly became a sports activity promoted by the Ministry of Education for all ages: children, juniors, adults and seniors. It is estimated that over one million people are practicing Groundgolf in Japan today.